An eclectic little neighbourhood that is off the grid. Meaning – no electricity. The residents use Solar Power with a back up generator and they like it that way! Views in Little Harbour are unsurpassed in The Sea of Abaco, The Atlantic Ocean, The Bight of Old Robinson and of course the Harbour. 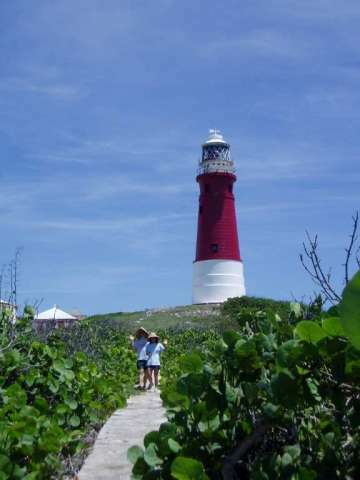 It is the northern most community in South Abaco. There are private homes and vacant land available for purchase. A fun community of local residents and vacation homes. Pete’s Pub located on the harbour’s edge offers the freshest seafood around and don’t forget to have the house drink, a Blaster! The restaurant at Winding Bay is also open to the public. A small grocery store is located in Cherokee Sound, just 2 miles away. Little Harbour is a cool South Abaco neighbourhood. Surrounded by water on three sides, Cherokee Sound is a small fishing village with quaint clap board homes and narrow streets. Home of the longest wooden dock in the Bahamas, appropriately named, “The Long Dock”. There is a small, well stocked grocery store located within the village, a gas station, a library, school and several churches. Nearby Yellowood offers homes and vacant land for sale. Casuarina Point is a residential neighbourhood with a gorgeous beach and large sandbank. A great South Abaco beach for young and old as it is protected by islands and a reef offshore. On the inside is a quiet waterway with homes and vacant land, some of which is for sale. This area is well known for bone fishing and great deep sea fishing just offshore. Several of the beach homes are offered as vacation rentals. Beachfront homes, beachfront, canal lots and interior lots for sale. Just four miles further south from Casuarina Point this neighbourhood is also all residential with approximately sixty homes and a very nice mix of second home owners and local residents. They have created a fun atmosphere with book and card clubs, potluck and barbeque dinners, pizza night, and more. The beach here is eight miles long and goes from shallow waters at the northern end to more of a ocean beach with deeper water at the southern end. There are numerous shoals and reef structures just off shore. They are great for snorkeling and diving. Bahama Palm Shores has beachfront, ocean view and interior homes and vacant land available for purchase. Schooner Bay in South Abaco is a relatively new development that is planned and designed after some of the older seaside and harbour villages in the Bahamas. There are several restaurants, a general store, gas dock, day dock, organic farm and of course the harbour which has access to some of the best fishing grounds in Abaco. A beautiful white, sandy, crescent beach with rocky out-croppings and lovely Atlantic and Harbour views. There is not another deep water harbour within thirty miles. Long Beach also known as “Island Homes” is a bit further south and is approximately a 15 minute to the tip of South Abaco. Here again it is a residential community but is located between Crossing Rocks and Schooner Bay where basic food items can be purchased along with several restaurants. The crescent beach is absolutely magnificent and stretches many miles to the south. 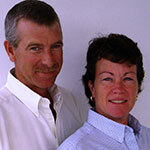 There are many options for South Abaco real estate purchase in the Long Beach community.